Hello ladies, as some of you may have heard of this famous pharmacy in Paris, CityPharma, on 26 Rue De Four carries a tremendous of skin care products and medicine. You will not fine makeup here (not CVS or Wallgreens). I will get right to the point. What I bought from this pharmacy and why is this place so famous that draws hundreds of thousand of people annually. First thing first, City Pharma sells a bulk of Bioderma! What is Bioderma? it is the most gentle cleanser I have ever used, let alone very effective. Bioderma cleanser needs a cotton pads to wipe off your make up and you don’t need much unless you are loaded with makeup that day. So, I had to get one of those huge botte, 500ML for 8.9 Euros??!! I also grabbed a set of traveling size skin care from Bioderma. It is in a nice size see through pouch. Zipper is great not cheap. I stuffed many toiletry in this bag and it’s a great fit. 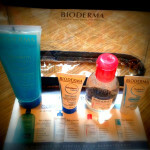 In the package, I got; a bioderma makeup remover, 2 moisturizer and a body wash for 7.49 Euros! Great kit. I have been a big fan of Vichy for 15 years. It is one of the most effective skin care products out there. When it first came out in Asia, I could only got it from a pharmacy and it wasn’t cheap. 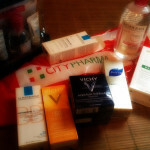 Now, Vichy is in Ulta, online and of course, at City Pharma. 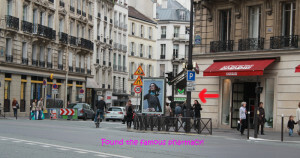 Made in France, Vichy is one of the most affordable skin care in Paris. I grabbed a good sun screen with SPF 50! for ATL sun. 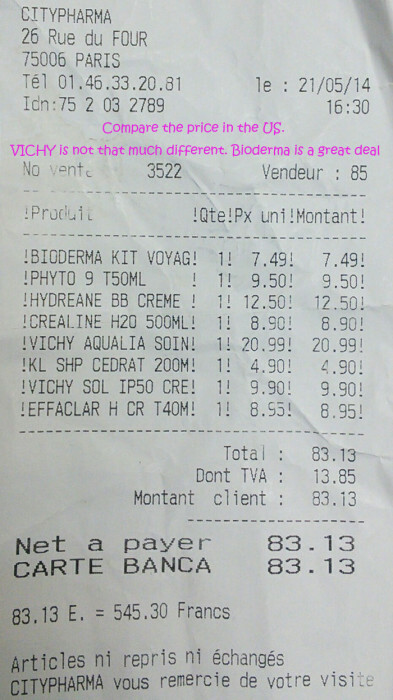 Also, I saw this Vichy Aqua Thermal in a big jar and it was 20.99 Euros! nice. The texture is very light and soothing. I love to soak my face in the nice cool light weight lotion after a day in the Sun. What in the name of God! who carries that many lines of great stuff like La Roche-Posay in one place? City Pharma does. I was overwhelmed and lost in those aisles. I wasn’t prepared for this at all. There were so many new products and I could not remember what to get. I knew that some of La Roche at City Pharma is not in the States just yet. But I made it out alive! I got a BB cream and Effaclar H! Great pick by me. The Effeclar is supper gentle and nice scent to it. Very clean feel when apply. I love love this product line. BB cream was in a medium color and it is nice but a bit oily if you are oily like me. Alright, hair is my issue. I cannot get my hair to look nice in the summer. I have read so many reviews on Phyto 9 and how to use it. I grabbed this one instead of Phyto 8 because it has one extra ingredient added. Nice and non-sticky cream. Very easy to use. I blow dry my hair after applying this product to avoid dryness and tangle. This is supposed to be a well-known shampoo and hair product. I did some research online and most people go for Klorane when it comes to hair. My experience with this shampoo is, it is a very mild shampoo but it doesn’t show any extra ordinary result with my hair. I should have gotten their conditioner to compare with the others. But it is a nice shampoo to have knowing that it is very natural. I use this when I travel. Besides the great products in this pharmacy, the store itself is medium size but the crowds fill it up pretty quickly. It was warm without doubt inside. 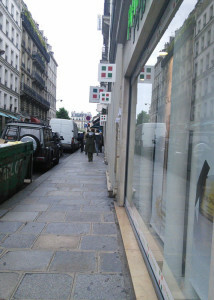 I had my trench coat and a scarf on that day because the Paris weather was unpredictable. I ended up carried a shopping basket, my trench coat and my scarf trying to get through the crowds. Be ready when you are making your way here because all of the products will wipe out your good memories of what you should get. The crowds are 60% Asian and 80% tourists. How did I know? well, I only heard French a couple time. The register line was long. Don’t forget to ask for VAT refund if you shop more than 100 Euros. I didn’t do it because mine was 83 Euros and I would have gotten $11 or less, not worth the waited line. Spotted the CITYPHARMA from afar. Get the following ready before visiting this Pharmacy. 1. List of what you want, categorize it by skin, hair, foot, medicine. 2. Pictures of what you want to buy. Trust me, it’s overwhelming inside. 3. Wear a cross body bag, you want a hand free shopping in this place because it’s packed. 4. Say hello like “Bon jour” to get your attention. All SA are nice but they are busy helping others too. 5. If you’re not sure about the products because you can’t read French, just put them both in your basket and ask the assistant. They wear a white gown like our pharmacist. 6. There is a second floor, so make sure you’re done with the first one and make your way up. When you come back down, your products might be gone! 7. Look for kits or set of skin care. Most of them are cheaper than individual sale. Certain time of year/ month, they offer a promotion. Make sure the name on the product is matching the promotion sale before you paid for. 8. Get your passport photo copies. If you want to get VAT refund, get this ready! 9. Memorize the your local country price and compare before you decide to buy from this pharmacy. If it’s worth the extra weight in your luggage or carry on, then go ahead. You’re already there, might as well. 10. Everyone there is nice, I like to get there early before they get cranky as day goes by. They have a big clock out front on top of their sign. You need to pay for your items before they close, or you will have to leave empty handed. I hope these help. I didn’t get much from this place because I was worried about extra kilos on my check-in luggage. I wasn’t there for very long time because I knew Paris has more to offer than just a pharmacy. I didn’t want to spend all day shopping for skin care. Make sure that you keep all receipts and ready for VAT refund customs at the airport. Do not check-in all items before you claim your VAT. Getting the stamps is a must. I will write the details in a separate blog. |Why is it so famous? 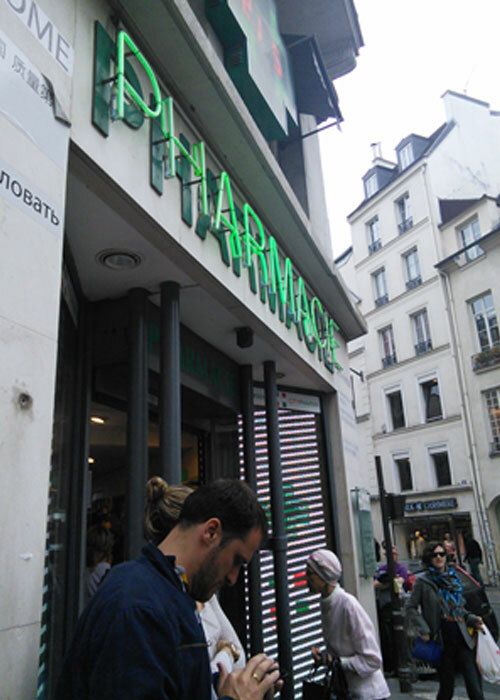 This pharmacy sells a lot cheaper price than other pharmacies in Paris. I checked 3 other places and it’s almost half price off. Some of Bioderma (the twin pack) is supper cheap. Be ready for 500 ML x 2 bottles weight. Lisa Eldridge, the famous makeup artist also recommended this pharmacy. She stocks up her Bioderma and other skin care from this place as well. If you follow her youtube, she has a skin care favorite and routine video and mentioned City Pharma on it. I think this has so much to do with the pharmacy being jammed inside. We all love Youtube, don’t we? Get your skin care here is cheaper than skin care at Duty at the airport? Not necessary. Again, it depends on the Pharmacy promotion. Sometimes, their discount is ridiculously great. Some stores in Duty free has promotion too! you never know. 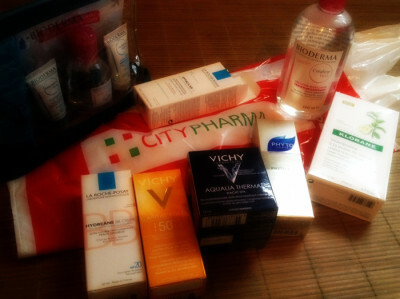 I would say, get all skin care from the City Pharma, and get fragrance from the Duty Free. This way, you don’t have to worry about getting VAT refund, or over weight check-in luggage. This is the price for May 2014. You may or may not have a promotion for the products you want on the day that you arrive. I don’t see Vichy’s price is being too much cheaper or even same price as in the US. Lately, Vichy has so many marketing ideas launched for customers, e.g. free shipping with no minimum! or a nice set of skin care. Biotherm is also the same. I checked my favorite night lotion in a pump bottle, but I didn’t see a significantly price dropped, so I didn’t waste my luggage space. I only got those that we don’t have in the states or much more expensive. Hope this information helps.